Over the past couple of decades, without question, technology has transformed healthcare and medicine across the world. It could even be called the “driving force” behind improved care, treatment options, and patient outcomes. But, even with all the advancements, tools, software and technology, the healthcare system as a whole continues to operate in silos, which I believe, is very dangerous for patients. What? WHY?! Aren’t my records shared with all my providers whether I am at my primary care provider, cardiologist, urgent care or if I were admitted to the hospital? Unfortunately not. The key words in the above definition are “can be shared.” In reality, we have seen the word “can” replaced with “won’t,” “can’t,” and “too hard.“ Even when an entire healthcare organization is utilizing the same electronic health record backbone, records are not always easily shared or readily available. To the dismay of every patient everywhere, as they flow throughout their local community of medical facilities—their information does not automatically follow them. Medication lists, test results and procedure histories, even the super expensive ones, are not visible to everyone in the healthcare chain. We have all heard of patients having an out-patient MRI on Tuesday, admitted to the hospital on Wednesday, and have another MRI on Thursday! How can this be possible? It is because health information management is now operating through the modern digital records and is living in virtual silos. You would think that we have come a long way in going from paper records (charts) to electronic records. And we have. Order entry, prescription management, and test reporting are now infinitely easier. Removing the physical nature of the chart now gives access to multiple providers simultaneously, in remote locations. What is missing is connectivity and interoperability. These shortcomings drive up costs, leads to poor communication and collaboration, and ultimately affects the quality of patient care delivered. This is one of the reasons why software like HybridChart was created. This solution can connect EHR’s, billing software, scheduling apps, answering services, and other applications enabling communication and collaboration across an entire system of care within a community of providers. This is NOT an electronic medical record, rather a smart layer which sits on top of the unconnected solutions, enabling sharing of information. HybridChart bridges the gap between the in- and out-patient worlds. and, more time in your day. At HybridChart, we provide technology that connects your healthcare team, increases efficiencies, AND improves your bottom line. HybridChart’s cloud-based software adapts to your practice’s unique workflow and will improve your profitability and patient outcomes by utilizing our 5 features: census management, charge capture, secure messaging, discharge management, and data analytics. NEVER miss another charge and get PAID for the work you do! 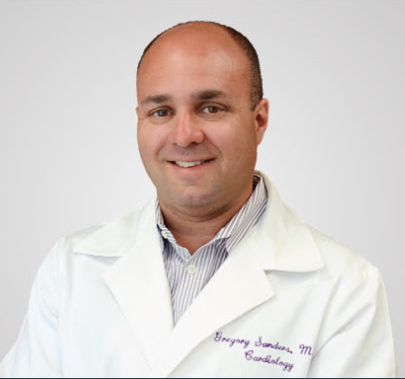 CEO and Founder	,	HybridChart, Inc.
Dr. Gregory Sanders is a Harvard-trained, practicing cardiologist and founder and CEO of HybridChart. He has been coding since the 1980s and has spent his medical career focusing on improving processes. His patient care skills earned him recognition as one of Phoenix Magazine’s TOP DOCs. He lives in Scottsdale with his family.